The professionals at Emery Eye will help you see better and in many cases can enhance your academic, occupational or recreational performance through comprehensive eye care. Common eye problems develop gradually over time and unlike the rest of your body, your eyes rarely hurt when something is wrong. In fact many people suffer from poor vision for years before realizing they have an eye problem. Emery Eye Center uses the most advanced instruments and procedures to evaluate the health of your eyes and prescribe the appropriate eye wear, contact lenses, or other treatments to help you see your best. Meet your eye care team. The Emery name is well known to eye care in the greater Derry area for over 40 years. 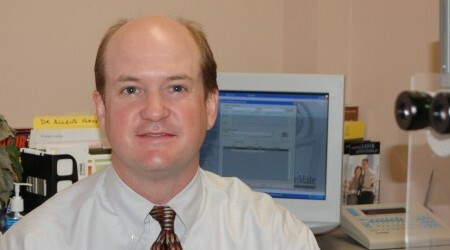 Dr. Keith Emery joined his father Dr. Richard Emery in 1985 after receiving his medical degree. His 35 years of experience have provided him the opportunity to meet and care for many wonderful patients. Seeing families grow and helping with all their eye care needs brings him great satisfaction. Prior to practicing eye care in Derry, Dr. Emery was an assistant professor at the Southern College of Optometry in Memphis, Tennessee. He also completed a year of specialty training in Optometric Medicine in Memphis. Dr. Emery received his Doctor of Medicine degree from Ross University School of Medicine. His Doctor of Optometry degree is from the New England College of Optometry in Boston where he was a member of the Beta Sigma Kappa Honor Society. Saint Anselm College is where he received his bachelor’s degree in science. 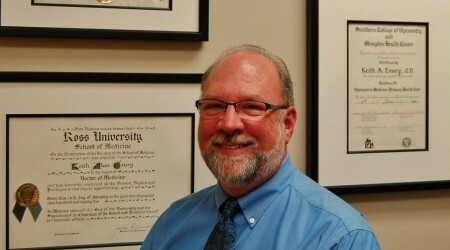 Dr. Emery is also a Diplomate of the American Board of Optometry. Dr. Emery is a member of both the New Hampshire and the American Optometric Associations. He is the recent past president of the New Hampshire Board of Optometry and is currently on the Board of Directors of the New Hampshire Optometric Association. He and his family live in Derry where he enjoys outdoor activities, especially golfing. 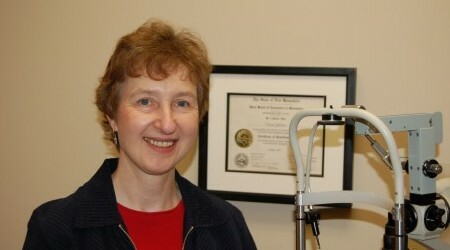 Dr. Nelson joined Dr. Emery’s practice 1987. She received her undergraduate degree from Colby College and her Doctor of Optometry degree from the New England College of Optometry in Boston. While in Boston Dr. Nelson completed a year of post graduate training in children’s vision. During this time she gained knowledge and experience in the various conditions that are unique to children and has tremendous success in caring for our young patient’s needs. Dr. Nelson enjoys general practice and has developed a special interest in challenging contact lens problems. Her training and experience have offered success to patients who have previously had unsuccessful lens fittings elsewhere. Derry is where Dr. Nelson and her family live. She enjoys many of the activities offered by our community. Dr. Allen is a Board Certified ophthalmologist who specializes in micro-incision / no stitch cataract surgery and the medical and surgical treatment of glaucoma. He also utilizes the latest laser treatment techniques for retinal disorders associated with diabetes and macular degeneration.